When my friend Susie asked me to do a review of Turkish spindles, I wasn't sure what I was going to write about because there are so many good things about them. We narrowed it down to pros and cons, and why I chose the ones I did, so here we go. I have to say that out of all my drop spindles I tend to reach for my Turkish spindles first. Pro: The reason being is their portability when traveling in and around the city, I can easily stash one in my purse, or in my knitting bag to spin with when I get the chance. Con: My other spindles get left at home and ignored. I have traveled with my spindles as well, further then the city limits of course, in the car, and by plane, and my Turkish spindles were what I took with me. Pro: When they do not have a cop on them, they come apart easily for storage in a small space. 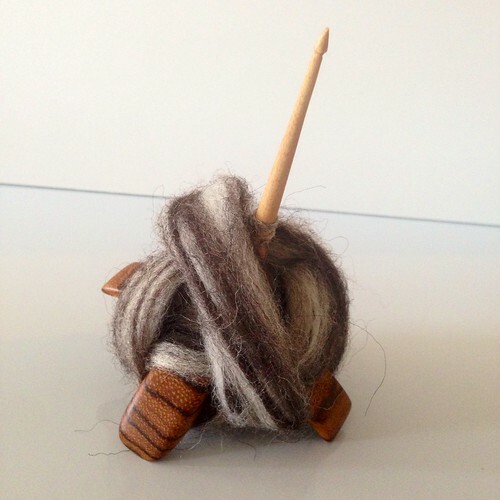 Pro: Because of the half hitch you use to hold your yarn you have just spun to the spindle, there is less of a chance of your spindle dropping and rolling under your seat. Con: some people find it hard to produce a half hitch. Con: occasionally, depend on the fiber, it does get caught if you wrap it to tight. Before I get into which spindles I have, I will say that I am not affiliated with either of the companies that I chose to by my spindles from. I am just a happy customer. I have 3 different sizes of Turkish spindles, tiny, small and medium, as compared to other spindles not only in the market but also in the vendors I chose to purchase from. My Tiny Turkish is from Jenkins; it’s called a Kuchulu. I picked it up second hand from one of my friends who had bought it and decided it was too small for her. The reason I picked it was because of its size, and because it was cute, it is easy to spin lace or cobweb yarn with this size, and I can fit quite a lot on it when it’s wrapped properly. My other Jenkins Turkish is called a Delight, and it is 3rd in their scale of smallest to largest. I picked this size because any larger, and my hands would get fatigued easier, and I wanted to be able to spin for longer periods of time. Jenkins spindles come in 7 different sizes/weights, all of which have a name for their size. 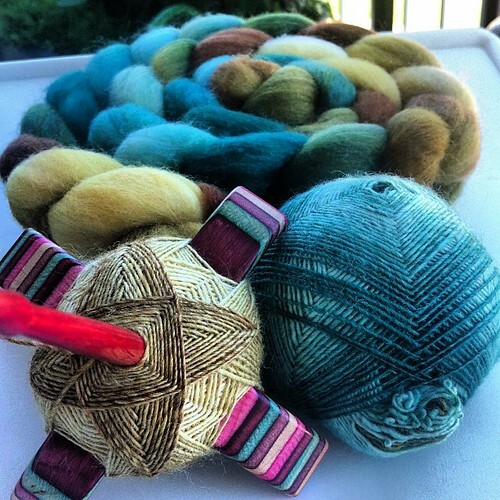 My other 2 Turkish spindles are from Threads Thru Time. 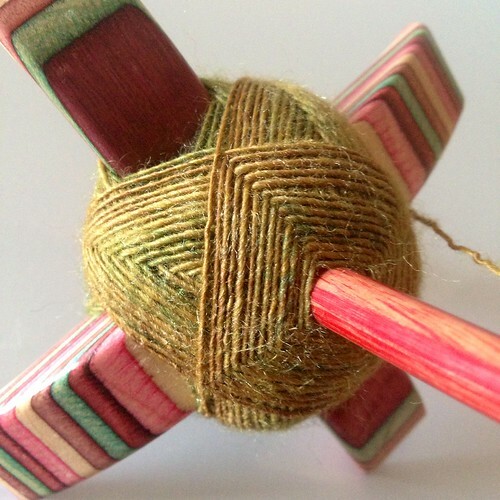 They have beautiful color combos for their spindles, and their spindles come in small, medium and large. I chose a small, and a medium, for weight and portability. I probably use my Medium TTT Turkish the most, as it fits about 2oz of fiber on it when its spun and wrapped nicely, which is great for spinning a larger amount of fiber because you have fewer cops to deal with at the end if your going to ply them This one travels with me to my husband’s soccer games. Overall the spindles that I have chosen make me happy. I can spin on them all, they are easy to use, and when it comes time to ply, you have wonderful center-pulled balls/cops ready for you to ply from! Lindsay is a crafting fanatic. She is very creative and does amazing work in all aspects of her art.